In the U.S., general aviation aircraft use the airplane type with the callsign when talking to ATC, such as "Skyhawk 123CS" or "Citation 321CT". ATC likes to know what type of airplane you're flying so they know how what its performance is. It gets complicated with airplanes like the Cessna Corvalis, which is a Cessna (formerly Columbia) but it is faster than a Cirrus and can fly an approach at 200 kts if required. So what would the callsign of a Corvalis be? "Corvalis 123TT" or "Columbia 123TT"? I doubt it would be "Cessna 123TT". Is there an official (or unofficial) list of airplane types to use when talking to controllers? Civil aircraft pilots should state the aircraft type, model or manufacturer’s name, followed by the digits/letters of the registration number. When the aircraft manufacturer’s name or model is stated, the prefix “N” is dropped; e.g., Aztec Two Four Six Four Alpha. As you said, you can comply with the AIM simply by saying "Cessna", whether you're in a 120 or a 750. But what about experimental aircraft, or a type that the controller just doesn't know? Personally, I think this is a practical issue rather than a formal one. If it was critical for ATC to know the performance of every aircraft then flight plans would be mandatory. As it is, both controllers and pilots rely on their working knowledge of aircraft types and the system just works. The big, fast aircraft are mostly IFR anyway so the controllers already know what to expect; the small, slow ones can all do 80-100 knots in the pattern and the controllers don't need to worry about them much. Not the answer you're looking for? 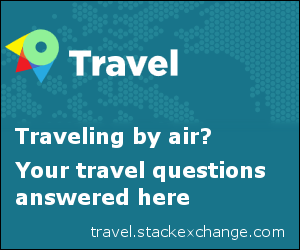 Browse other questions tagged air-traffic-control general-aviation call-sign or ask your own question. What types of air traffic controllers are there? How is the air traffic managed at a field with many privately owned aircraft? Are squawk codes used with ADS-B? Is there a list of directs and preferred routes within USA airspace?